Available for immediate delivery. Daily - Weekly and Monthly rates available. Bulletproof Cars available for immediate delivery. Armored Vehicles for rent in any city. Executive Protection with level B6 and B7. Rental rates will vary based on armor levels and length of rental. (serious inquiries only) Discreet, licensed, professional services. 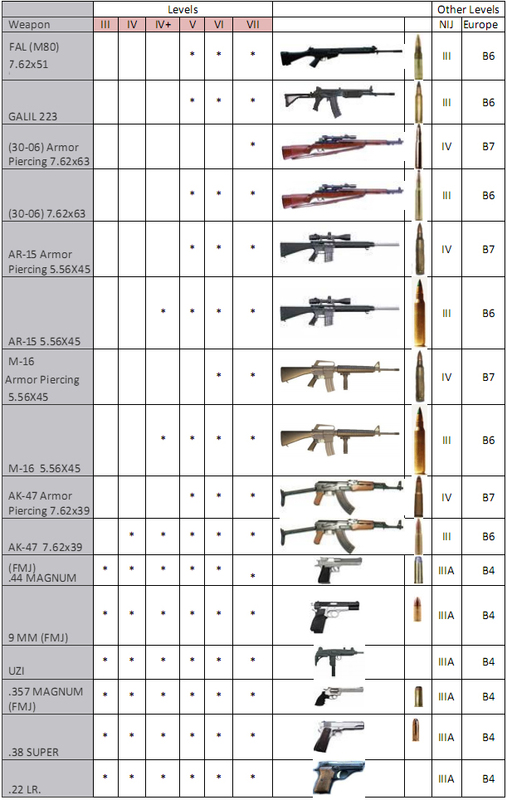 Ballistic protection levels / Ammunition types / Testing conditions. The standards used by NIJ require the equipment to withstand 5 shots within 3 inches of each other and 2 inches from the side at all but one level. The NIJ IV requires testing with a single shot. During these times of uncertainty and turmoil, nothing is more important then protection and safety. Bullet proof vehicles or an armored trucks or SUV provide an unparallel level of protection that you can not get from conventional cars. Let our experienced drivers transport you around town with one of our armored cars. Be confident knowing that you are in a secure vehicle. I had to fly into Los Angeles for a meeting that I wish I did not have to attend. Make a long story short, as soon as I stepped out of the plane in Los Angeles, I got into the bullet proof car we had rented. My attorney and I were chauffeured around by an experienced driver that made us feel very secure. I am now thinking about buying one of these bulletproof cars as my main vehicle. I represent a very important executive at a major company and whenever he travels he insists on being in a bulletproof car. He says having the extra level of protection makes all the difference to him and his family. The armored car provides peace of mind for him and that is something he can not live without. I truly recommend anyone that requires Armored vehicle services or bullet proof car rentals to not think twice about the value of its protection. We are the government of -------- of Africa and requested Dignitary protection during a conference we attended in Los Angeles. The level of protection offered to our Dignitaries was unrivaled. We rented several bullet proof and armored vehicles for our stay. We found everything we needed with one phone call. Whether you need an armored car or SUV For Rent or Sale! to drive from New York, cross country to Los Angeles or you just need 3 bulletproof cars or trucks to rent for you and your family while visiting Miami Florida. New York is in fact a hotspot for armored car rentals as dignitaries, officials, CEO of major companies meet each day. Flying in to New York can traveling about can be somewhat stressful. Not when traveling in a certified, True level 7 armored car for rent. This is a presidential level car and is used only for those who absolutely require it. A standard level 5 bulletproof car can withstand fire from an M16, 45, 357 and similar weapons.